In this 24 week class you learn to interpret the complete natal horoscope. 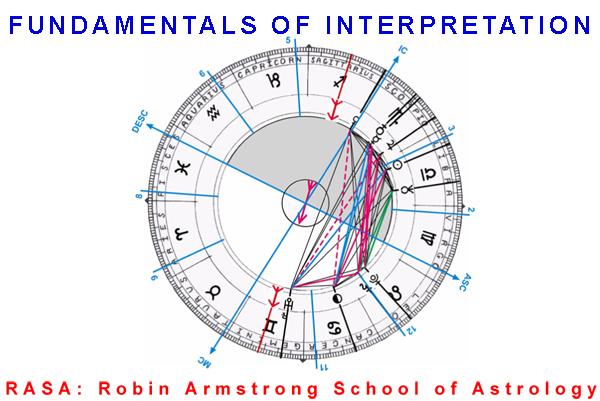 Each week you will study and interpret the natal chart of one of your fellow classmates. Weekly homework consists of your own personal written interpretation of the horoscope. There are 30 steps required for a competent interpretation of a natal horoscope. Students study the chart and prepare their interpretation before each class. The class then works together to interpret the horoscope. For the first few charts interpretation concentrates on the beginning steps. Emphasis then shifts to middle stages of interpretation, as the first steps become second nature. Interpretation capacity increases and the signs on the house cusps and specifically on the angles become accentuated. The focus becomes more and more tied to the multi-level interpretation of each planet. Planetary insight and integrity develops. The distinctively different effects of each planet gradually become a more and more obvious reality for each student. The student becomes aware of the scope of character analysis and rapidly develops confidence and dexterity in his or her interpretations. When students complete this level they are able to interpret natal horoscopes with respect for the individual and his or her life challenges.